Our packs are About 60 Grams, abut 4,000 Beads. Over 2 Full Ounces. More than other sellers, More Importantly Cost Less. Please Compare before you buy. 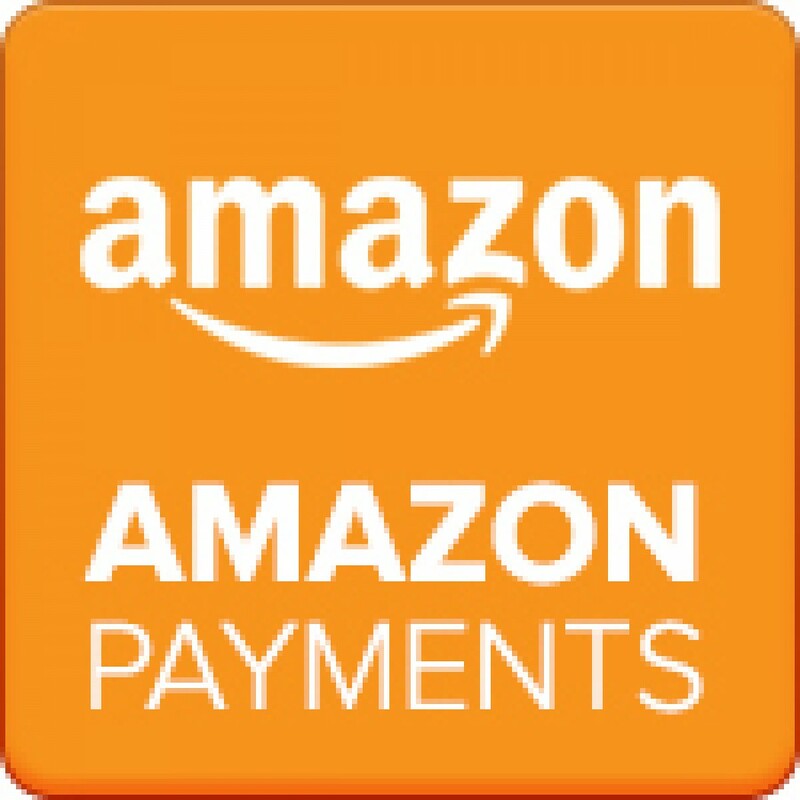 JellyBeadZ are a Number 1 Seller on Amazon.Colorfast, Non Fade, Non Toxic, Biodegradable, Not Flammable. 2 oz packs makes about 10 quartsThe beads absorb over 100 times their weight in water to form glass-like pearls that slowly release water back into their environment. The brilliance of the beads makes them ideal for flower, plant and candle arrangements. Great around the home or office! PLEASE NOTE: THESE BEADS ARE SOLD BY WEIGHT. 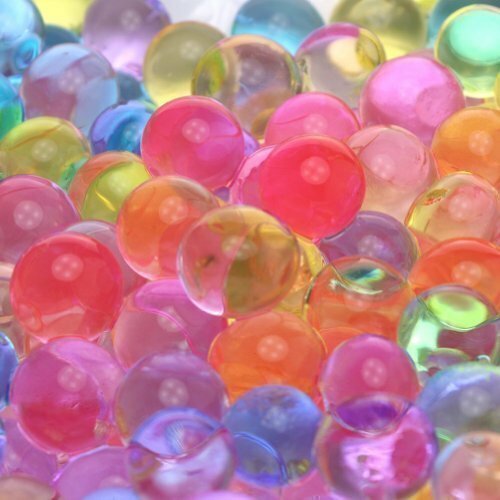 THE ACTUAL NUMBER OF BEADS VARIES DUE TO THE SIZE OF THE DRY BEADS. THEREFORE, 4000 IS APPROXIMATE. YOU WILL NEVER GET LESS THAN 2 OZ.- GUARANTEED.great tactile experience. Create a FUN Seashore experience. 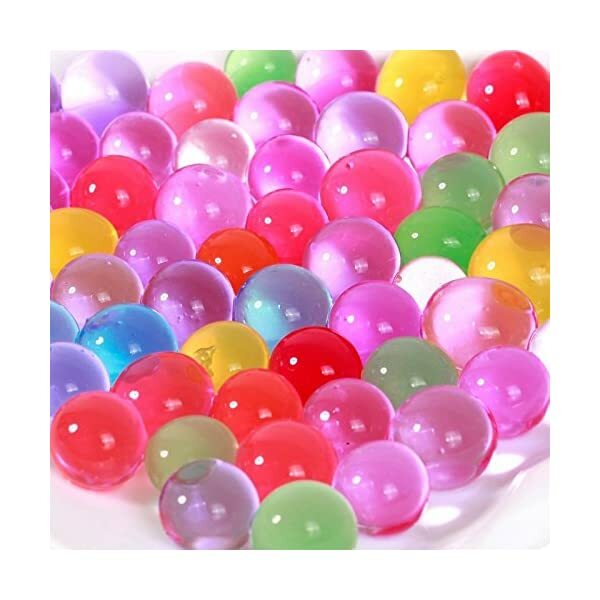 Add any fun items so kids can “fish”. . Scientific Skills: Sensory Science, Observing, Predicting, Evaporation and Absorption1.Sensory play is what water beads are best at. Kids of all ages love the feel and look of them. They are so enticing! 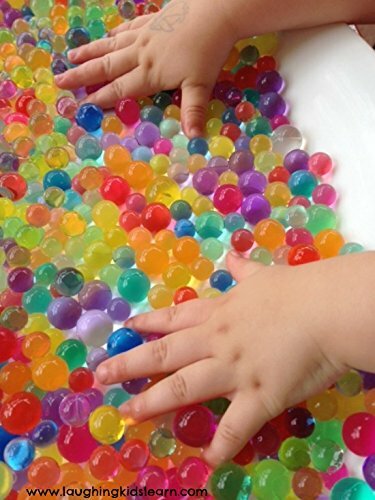 Colorful, smooth, squishy, cool… Really, there’s not much more you need to do with water beads than have a bowl full of them to plunge your hands into and hold and squish them. 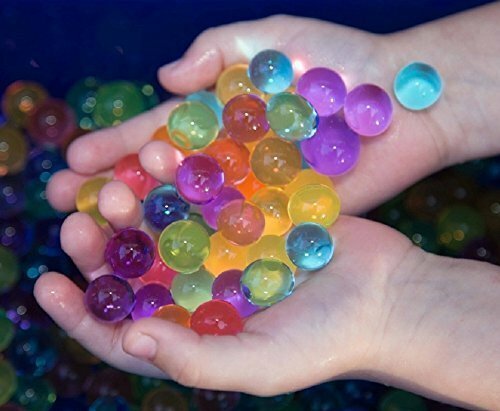 Water beads seem like magic to kids because the beads start out so tiny and grow within a few hours. 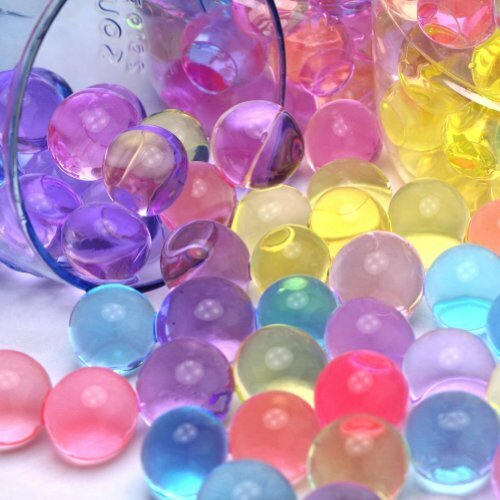 Just watching the beads change is a fun activity for younger kids.Use them in vases, bowls, and jars for eye appeal. They are great for centerpieces for weddings and other events. The water beads really add a wow factor that can turn ordinary vases and bowls into something beautiful. 3. 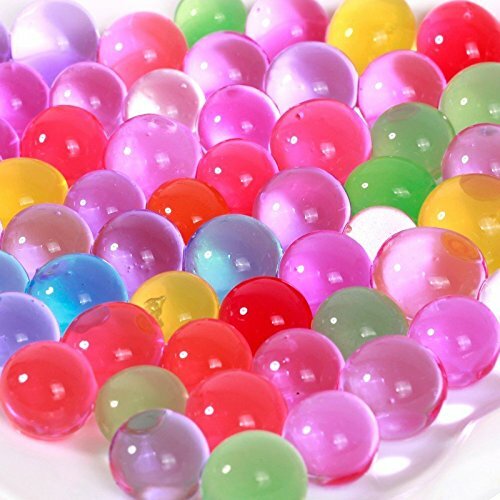 Water Beads for Plants Water beads are also great to use with plants. They help plants retain water and reduce the amount of watering plants need. They release the water gradually so the plant isn’t flooded with water. 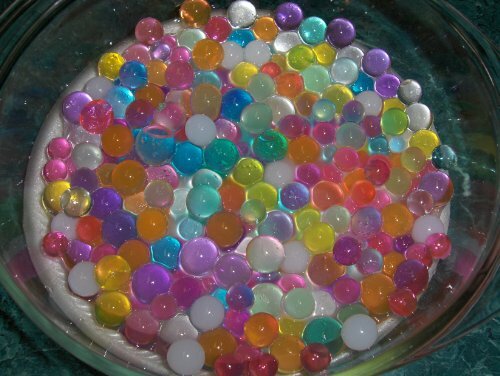 The water beads can also act as a replacement for soil with some plants. Bamboo plants do well with water beads rather than soil. 1 tsp dry beads will yield about 1 quart of Water beads when fully hydrated. 2. Allow the beads to fully expand in 6-8 hours. 3. 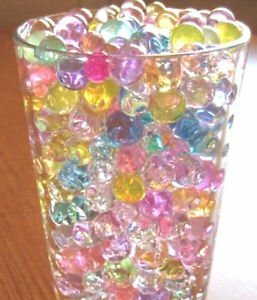 Remove the expanded beads from the water and pour into vases or bowls and ready to use. 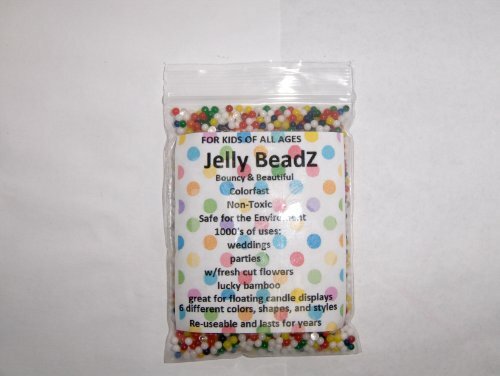 Be the first to review “2 Ounce Pack- 60 Grams Almost 4,000 JellyBeadZ Brand Water Bead Gel- Rainbow Mix” Click here to cancel reply.